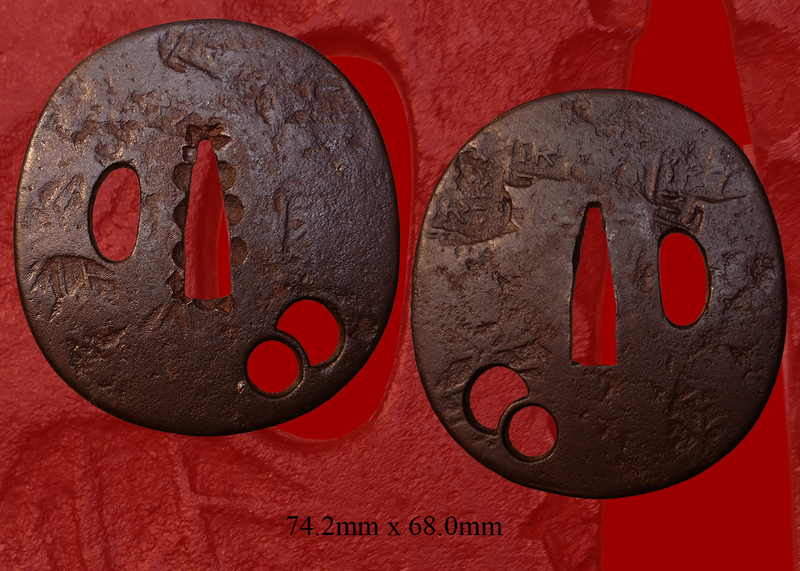 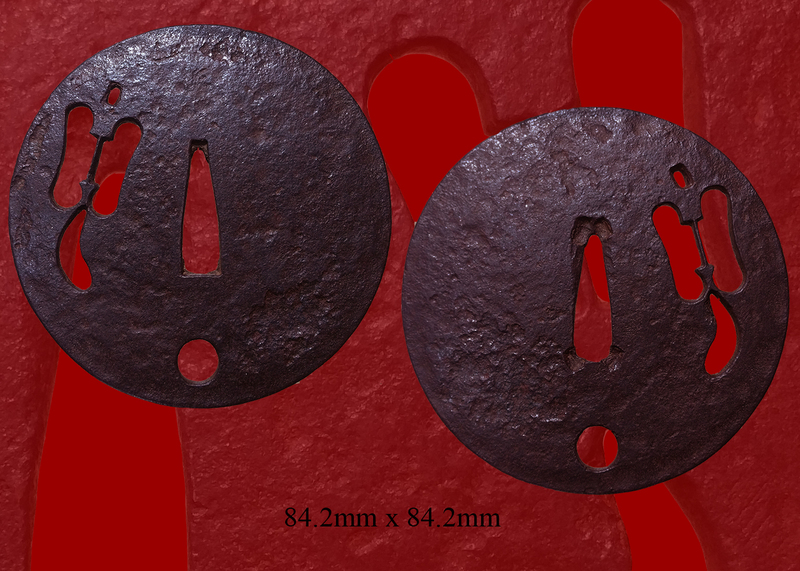 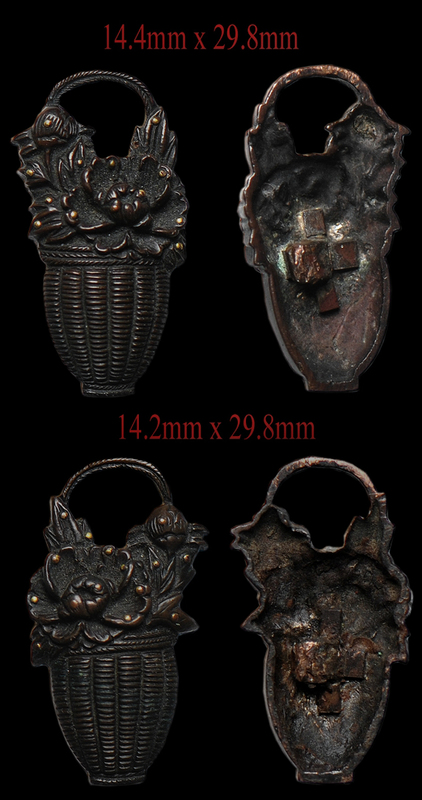 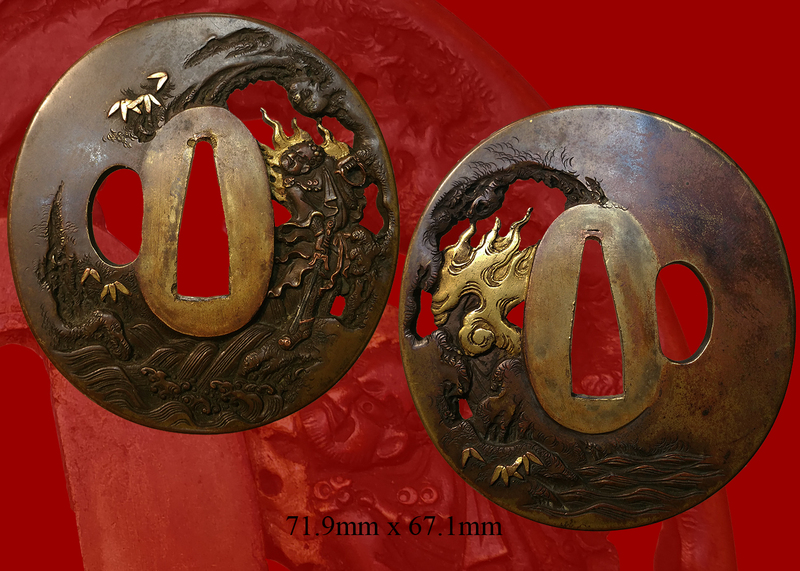 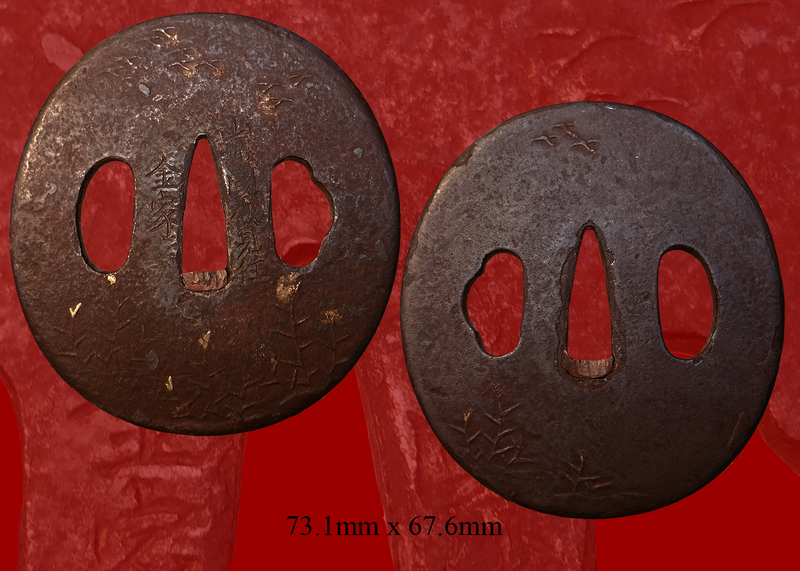 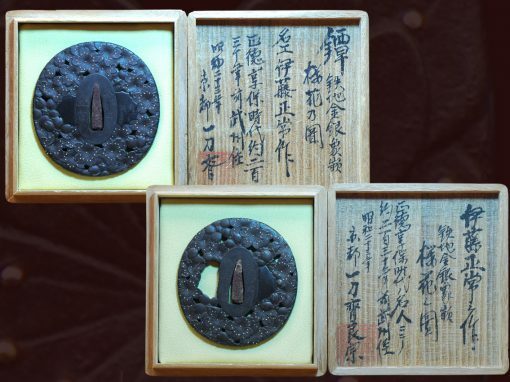 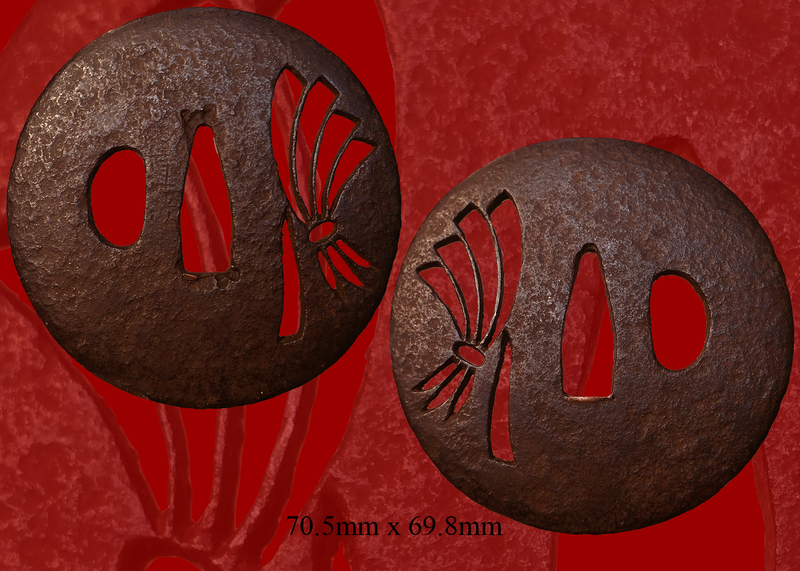 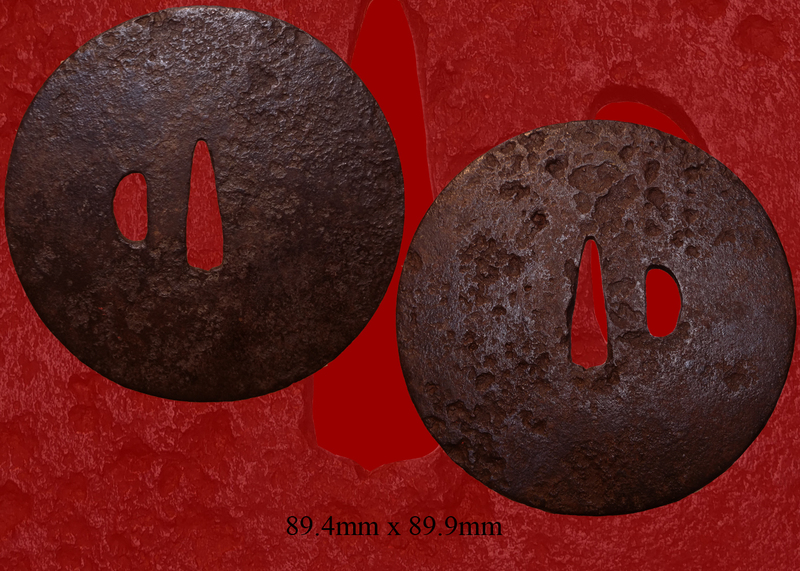 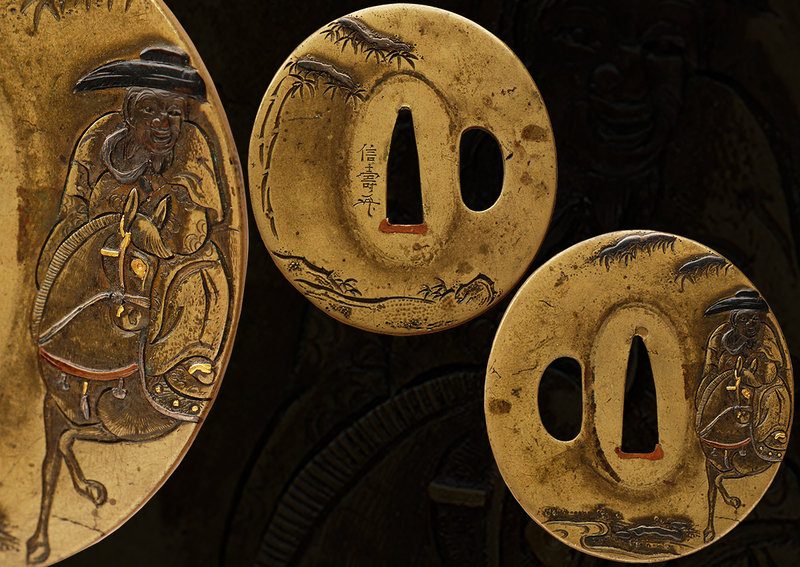 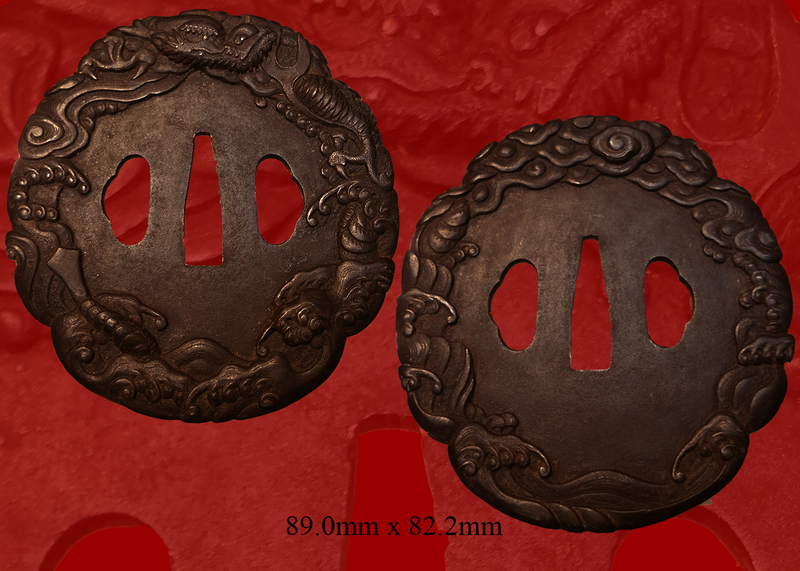 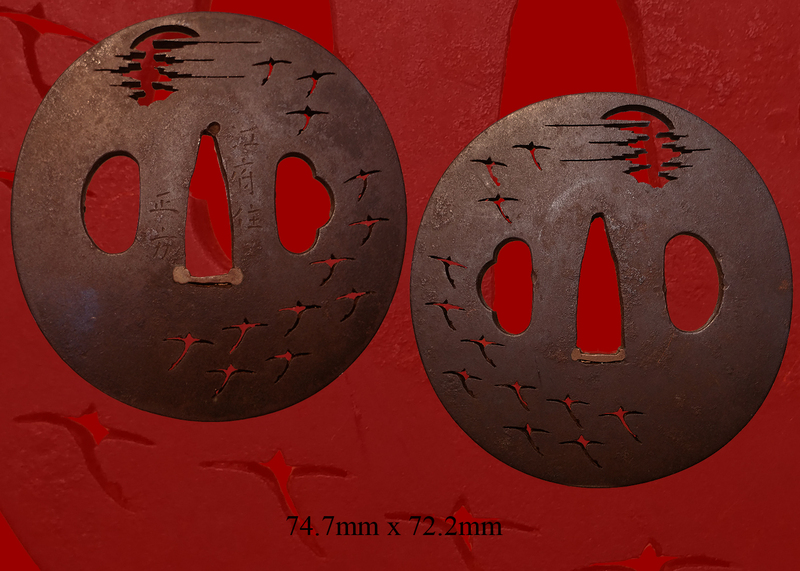 Good quality edo era tsuba in iron. 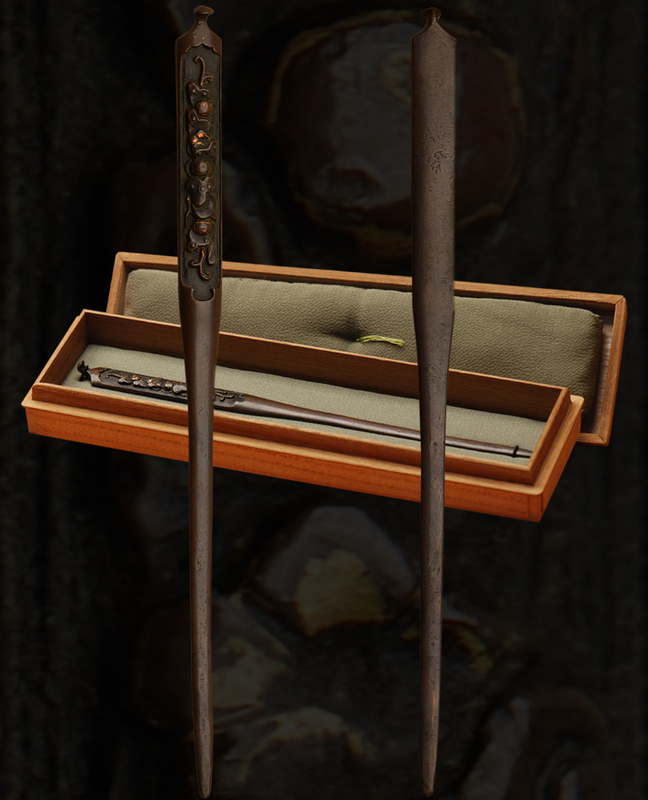 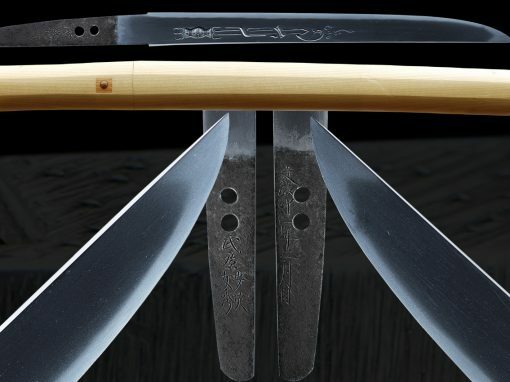 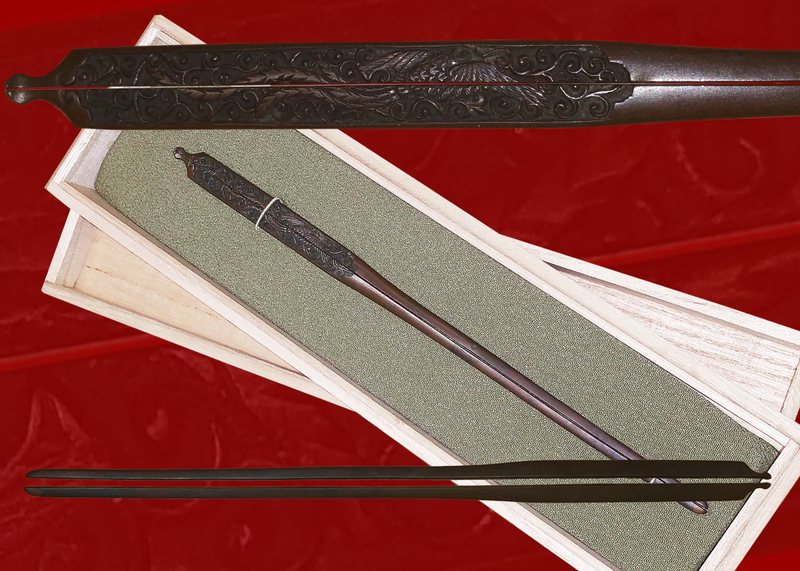 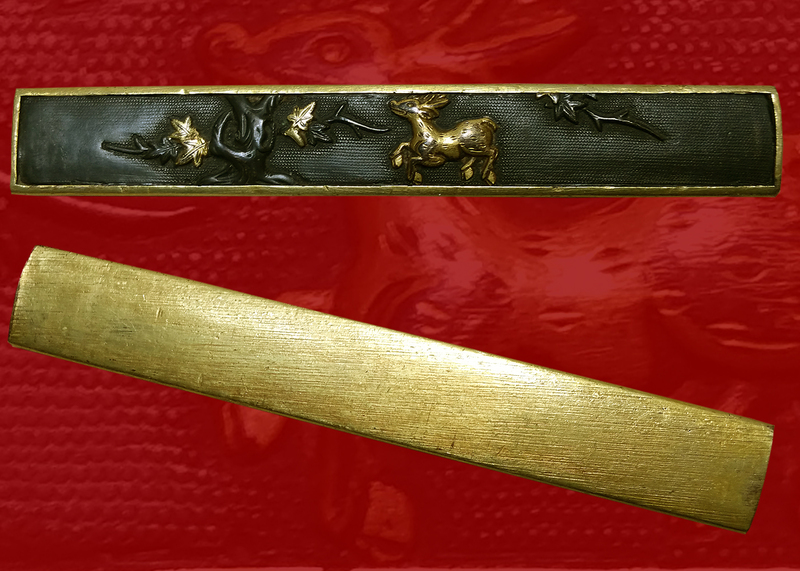 The signature reads “Efu ju Masakata” Masakata was the maker. 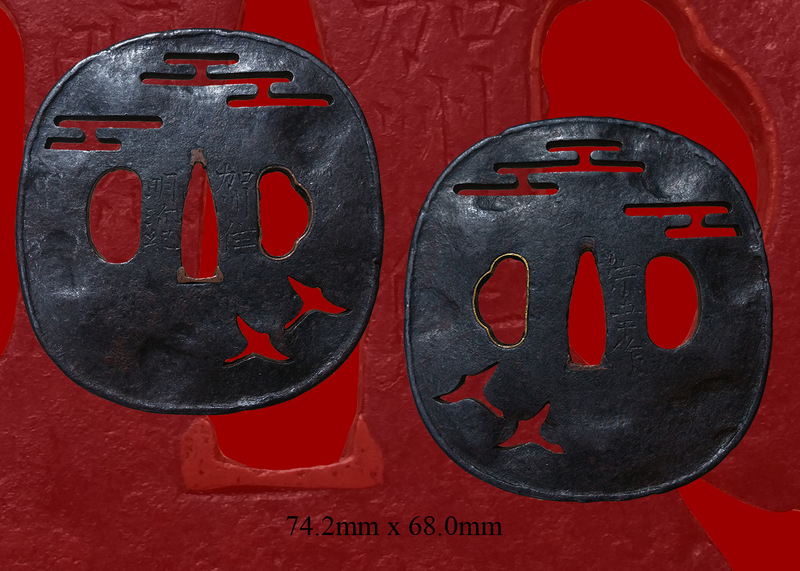 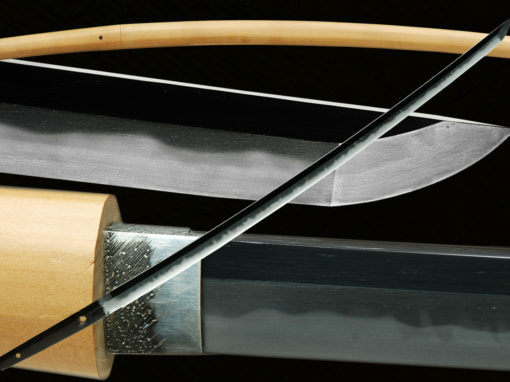 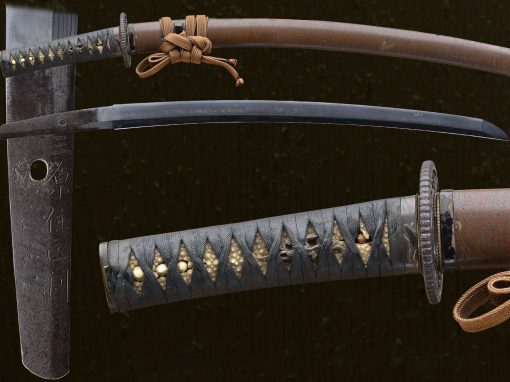 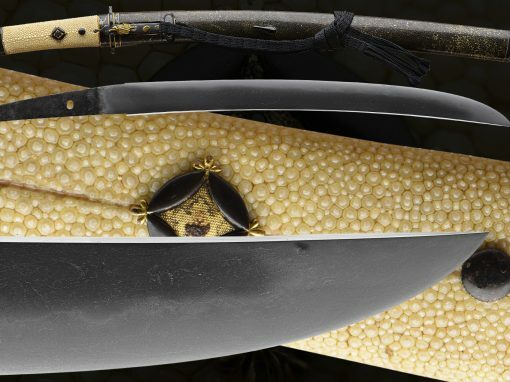 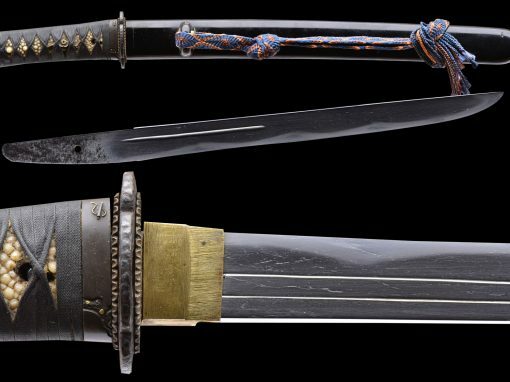 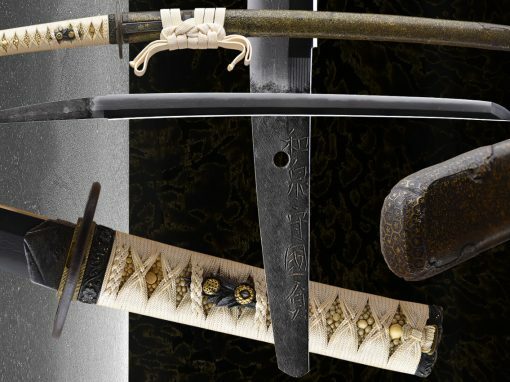 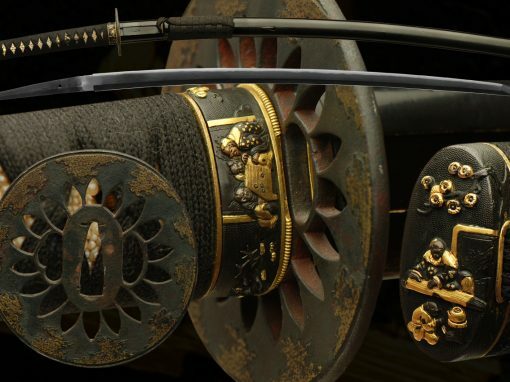 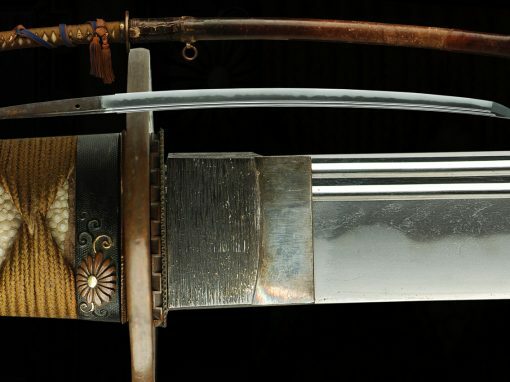 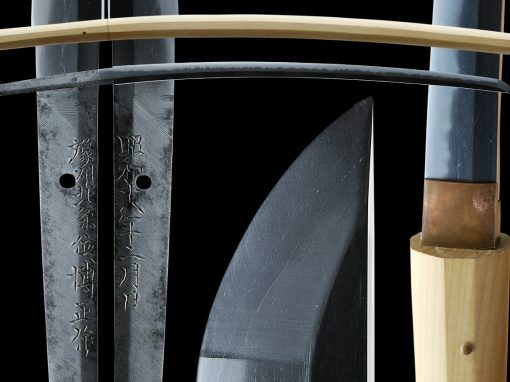 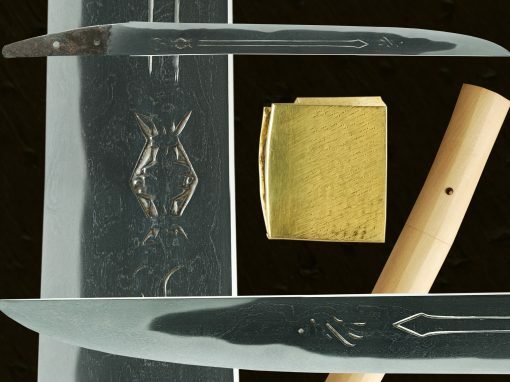 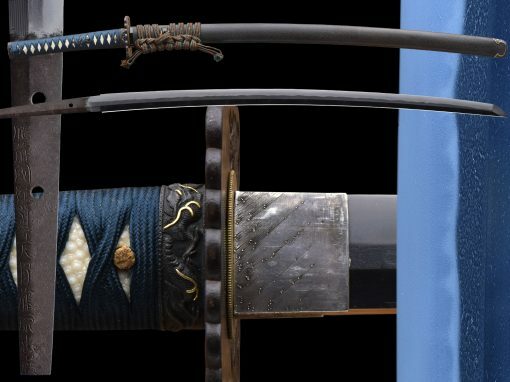 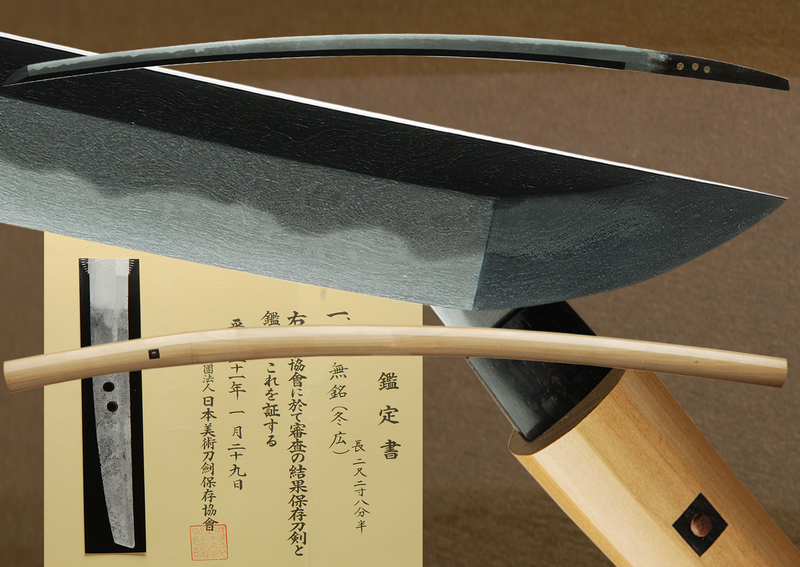 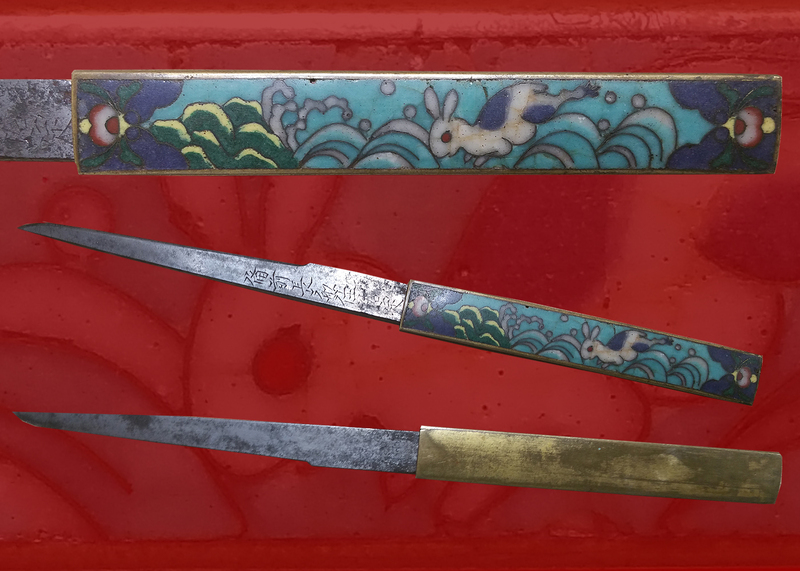 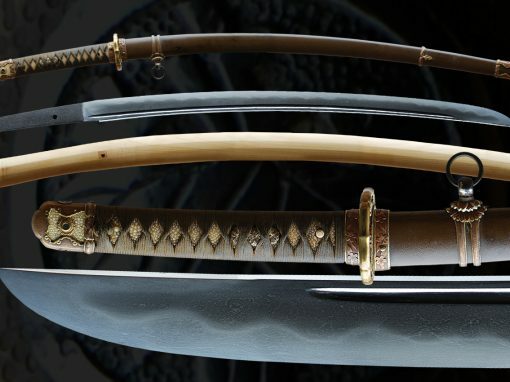 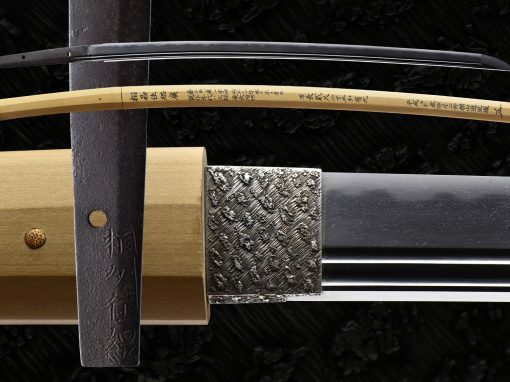 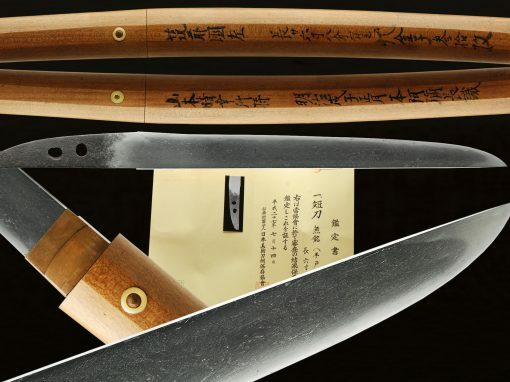 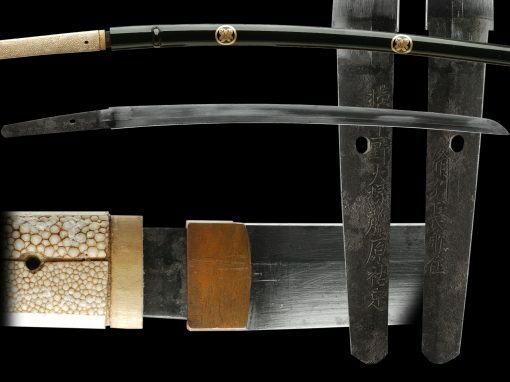 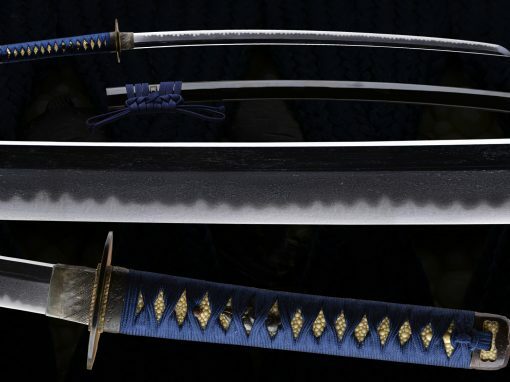 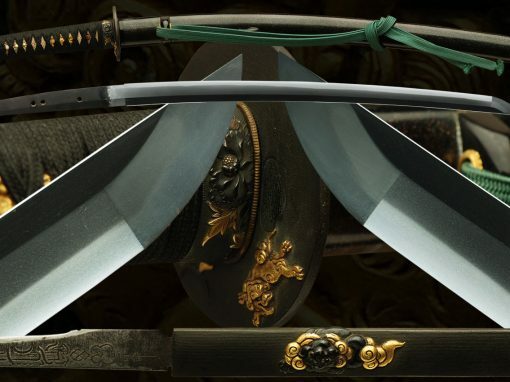 The patina is excellent and the motive that is pierced thru the tsuba is finely done. 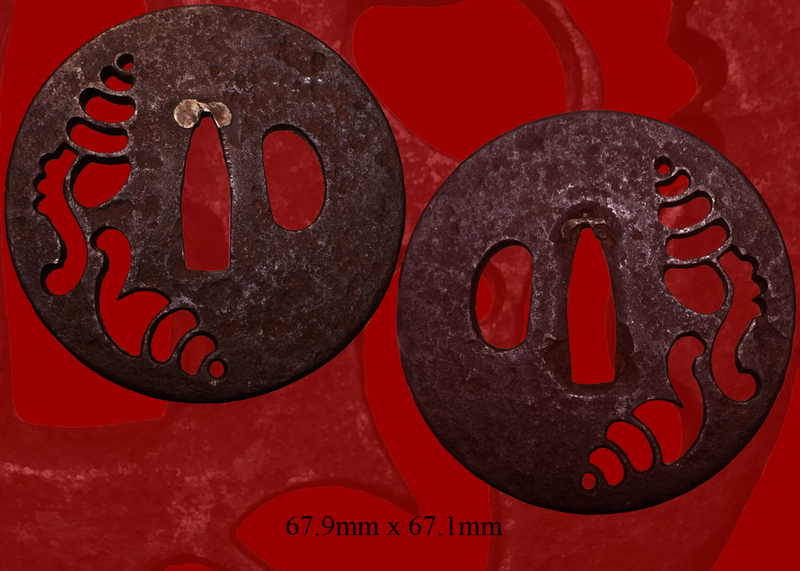 Email us if your interested in this item and remember to include the order number for this item: fst-256.